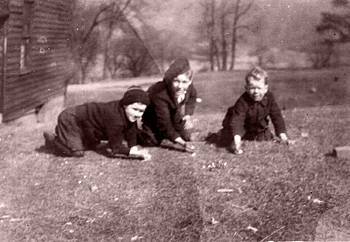 Walter Elliott (right) playing marbles with friends. c1922. Collect your own family history at your next get-together with the help of these fun-to-talk-about questions. Then come back and share it with us!